The Wet Wubba is covered with easy-to-see neoprene (wet suit) fabric. This high-floating toy is perfect for water and snow. 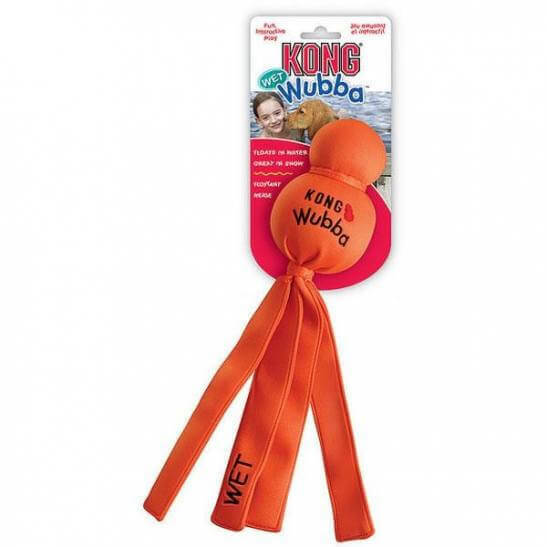 The Wet Wubba is fast to dry when playtime is over and can be used as a tug and toss toy anytime.